My boys have always loved giving out Valentines to their friends on February 14th, but they don't like handing out anything that says "love" on it. 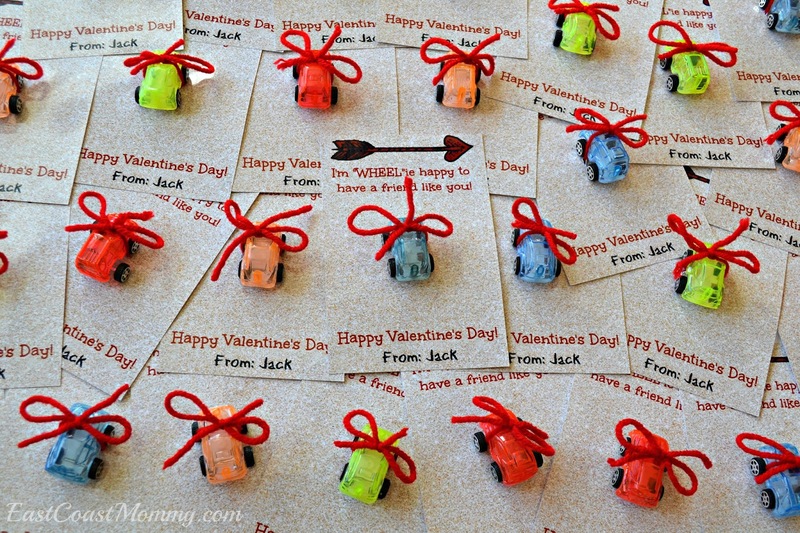 They always want to share treats with their classmates, but because of allergies and their school's nutrition policy, we prefer to come up with fun and unique candy free Valentine options. 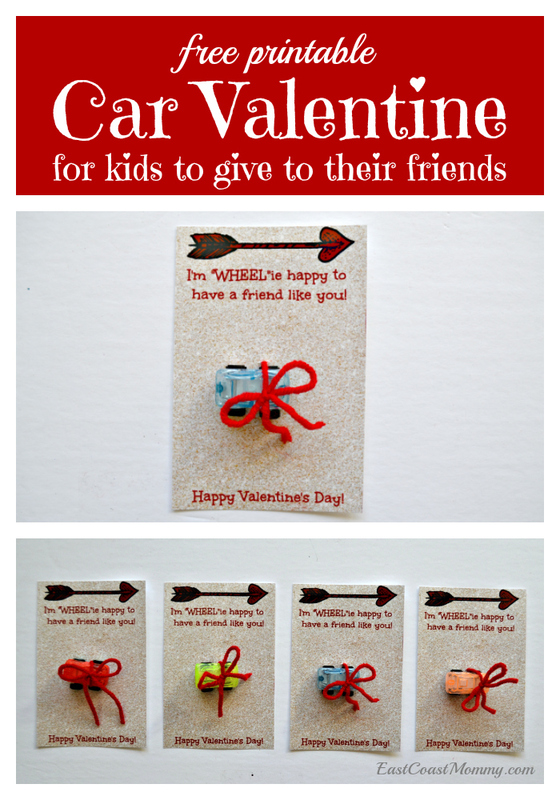 This year I found adorable plastic cars at Walmart, and I turned them into even more adorable Valentines. 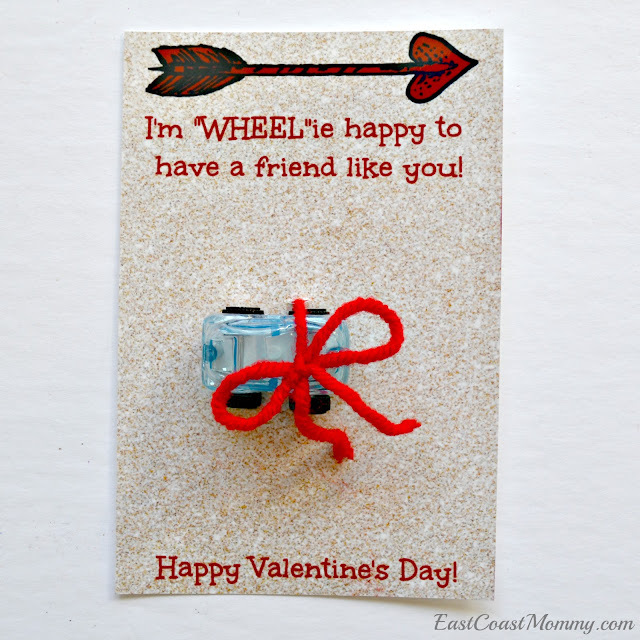 Keep reading to download my "WHEELIE" cute class Valentine. 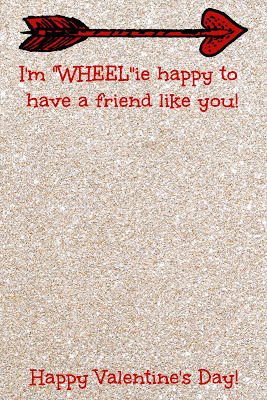 I designed a card that says, "I'm WHEELIE happy to have a friend like you!". Then, I cut slits in the cards with an X-Acto knife, and I used pieces of red yarn to tie toy cars to the cards. Cute, right? To print the glittery Valentines I designed: click on the picture below, right-click, save it to your computer, and print it like a regular 4x6 photo. I love how they turned out. They really are a wonderful "non-candy" Valentine's Day treat option. I made 30 for my 9 year old's classmates, and he is super-excited to pass them out to his friends. 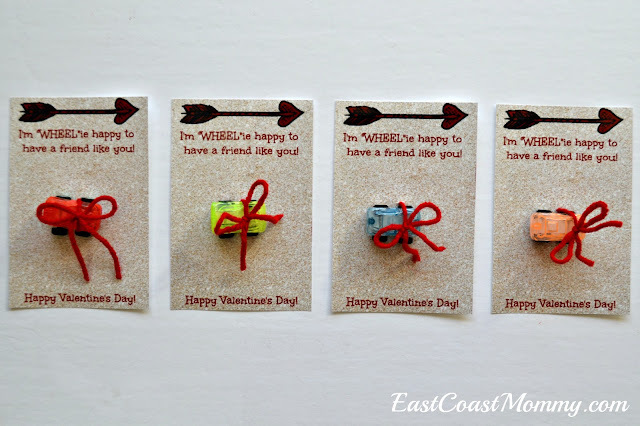 Do you love sharing non-traditional Valentines on Valentine's Day? 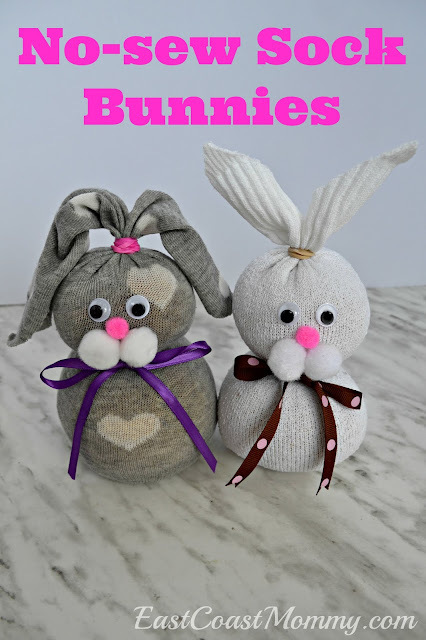 I hope you are inspired to get creative and hand out something a little different this year. Happy Valentine's Day!